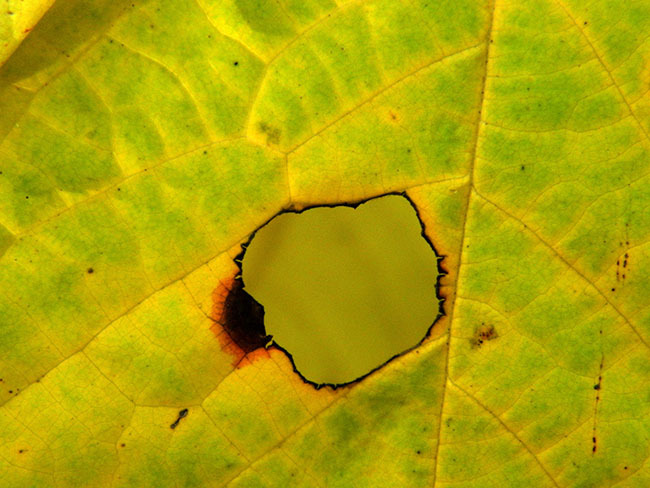 Artwork by Lydia Ciaffone, “Abstract Yellow Leaf,” digital photography, Plymouth Whitemarsh High School. Montgomery County high school art students will showcase their artwork at Montgomery County Community College’s 37th Annual Montgomery County High School Art Exhibition and Competition starting Monday, March 2, through Friday, March 27, at the Fine Arts Center Art Gallery at Central Campus, 340 DeKalb Pike, Blue Bell. The opening reception will be held Sunday, March 8, from 1 to 3 p.m. with the awards ceremony at 2 p.m. The exhibition is free and open to the public—everyone is welcome. Students from more than 30 high schools in Montgomery County were invited to participate in the exhibition. The artwork features a variety of subjects and styles in an array of media. College art faculty members will be judging the artwork. For more information about the exhibition, contact Gallery Director Holly Cairns at 215-619-7349 email hcairns@mc3.edu. Follow us on Facebook at facebook.com/DestinationArts for information about upcoming performances and art exhibitions or visit the website at mc3.edu/arts/fine-arts. The Planned Giving Council of Montgomery County Community College’s Foundation will present the next installment of “Everything You Ever Wanted to Know About Estate Planning (But Were Afraid to Ask),” addressing the topic of “Common Estate Planning Myths,” on Thursday, Feb. 26, 8 to 10 a.m. in College Hall room 151 at the Central Campus, 340 DeKalb Pike, Blue Bell. The program, which is free and open to the public, will be simulcast to the South Hall Community Room at the West Campus, 101 College Drive, Pottstown. During their discussion, attorneys Lisa Shearman and Mary Podlogar will dispel many common estate planning myths. They will provide invaluable insight on the significance of having a will and how it impacts the distribution of assets, as well as the recent changes in the law regarding power of attorney documents. They also will discuss the Pennsylvania inheritance tax and Federal estate tax laws, particularly as they pertain to gifts and taxation of assets upon death. Shearman specializes in trusts and estates as an attorney with the law firm of Hamburg, Rubin, Mullin, Maxwell & Lupin, P.C., in Lansdale. Podlogar is an attorney with MontCo Elder Law & Estate Plans in North Wales. As part of the program, breakfast will be served. For parking and directions, visit mc3.edu/about-us/directions-and-maps. To RSVP, contact Eden Pugliese at 215-641-6530 or epugliese@mc3.edu by Feb. 20. Brian Sanders’ JUNK is at it again, bringing its unique choreography, innovative use of props and fun spirit to Montgomery County Community College with a performance on Saturday, Feb. 28, at 8 p.m. in the Science Center Theater, 340 DeKalb Pike, Blue Bell. Tickets cost $28. Visit mc3.edu/livelyarts or call 215-641-6518 for more information and tickets. The choreographer strives to produce approachable, artistic work while exploring new ideas and encouraging audiences to view the world from a different perspective. “I like to find the dance inside these pieces of junk―something unique and unexpected that gives us a new and inspiring look on life,” he says. A native of Princeton, Sanders channeled his love of gymnastics, dance and the creativity of Bob Fosse and MOMIX’s Moses Pendleton to develop his own inventive choreographic style using discarded objects. After choreographing and performing worldwide with MOMIX for a decade, Sanders choreographed two nationally televised mini-series, a touring show and numerous independent projects before founding JUNK―a perennial sell-out favorite at the FringeArts Festival. 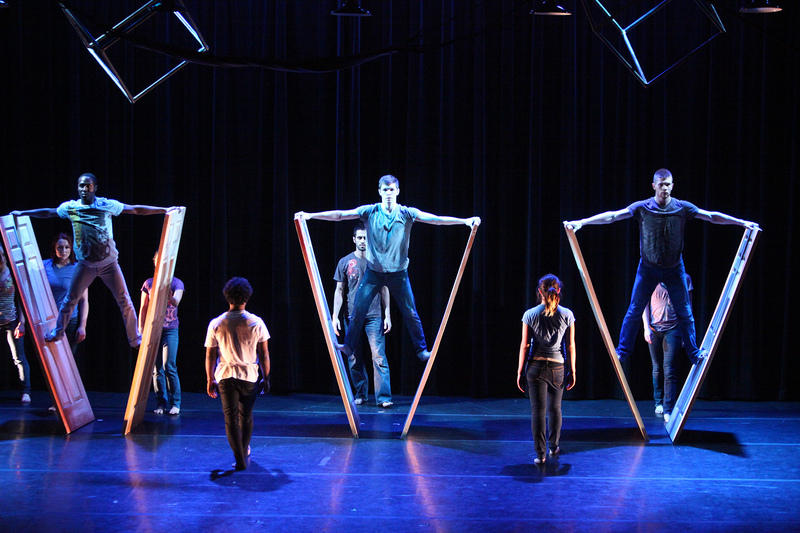 This performance is part of the College’s 2014-15 Lively Arts series. Upcoming performances include Latin American folkloric and jazz musician Miguel Zenón on March 21 and legendary harmonica player Grégoire Maret on April 18. The Lively Arts programs have connected the community for more than a quarter century. In addition to performances from internationally acclaimed artists, each season features a Young Arts Explorers series; student choral, jazz ensemble, guitar, dance and theater performances; the Presidential Symposium and Richard K. Bennett Distinguished Lectureship for Peace and Social Justice; and the Betzwood Film Festival. For more information, visit mc3.edu/livelyarts, email livelyarts@mc3.edu or call the Box Office at 215-641-6518. Follow the College’s “Destination Arts” page on Facebook at facebook.com/DestinationArts. Montgomery County Community College students are now able to easily access their campus news along with national news thanks to USA TODAY’s new mobile application, The Buzz. The Buzz is an extension of USA TODAY’s Collegiate Readership Program, which has provided free daily newspapers to Montgomery’s campus community since 2003. USA TODAY selected several colleges across the nation to pilot the new app, and MCCC is the only community college among the participants selected for the program. “We’re excited to share this new app with Montgomery County Community College because it will give students access to relevant national, college and campus news,” said Renee Speers, national director for USA TODAY College. Other participants in the program include Villanova University, University of Wisconsin-Oshkosh, Texas A&M-Kingsville, Sam Houston State University, Carnegie Mellon University and Syracuse University. The new mobile app combines the current news from the USA TODAY newsroom, national college stories from USA TODAY College and MCCC’s student newspaper, “The Montgazette.” Founded in 1967, “The Montgazette” includes news, features, opinions and photographs written or taken by students. Additional content will be added to the mobile app in the spring, such as MCCC’s Buzz Update (student produced video news and features), and MontCo Radio (student produced radio programs). USA TODAY will continue to provide printed newspapers on campus with the new app. As part of the promotion of The Buzz, the College will be hosting a kickoff party during the student club fair on Wednesday, Feb. 4, 12:20-1:20 p.m. at Parkhouse Hall Atrium at Central Campus, 340 DeKalb Pike, Blue Bell, and South Hall Community Room, West Campus, 101 College Drive, Pottstown, where students will be introduced to the new app. Students staff the Forty Foot Café at the Culinary Arts Institute. As the spring semester gets underway, the students of the Culinary Arts Institute (CAI) of Montgomery County Community College will reopen the doors of Forty Foot Café for business starting Thursday, Feb. 12, from 9 a.m.-noon. Operated by students, Forty Foot Café offers an assortment of baked goods, coffee, sandwiches and other food items prepared by CAI students. Revenue from the sales will support the Culinary Arts programs, and tips will help students pay for competitions, field trips, aprons and other program-related items. The retail bakery, located at 1400 Forty Foot Road, Lansdale, will continue to be open 9 a.m. to 12 noon, Wednesdays and Thursdays, through the end of the semester in early May. The café is easy to access from Forty Foot Road and has convenient parking. Seating is available for a few guests who would like to stay and eat onsite. The CAI opened Forty Foot Café in October 2014 to provide a hands-on opportunity for students to learn the soft skills of operating a business. 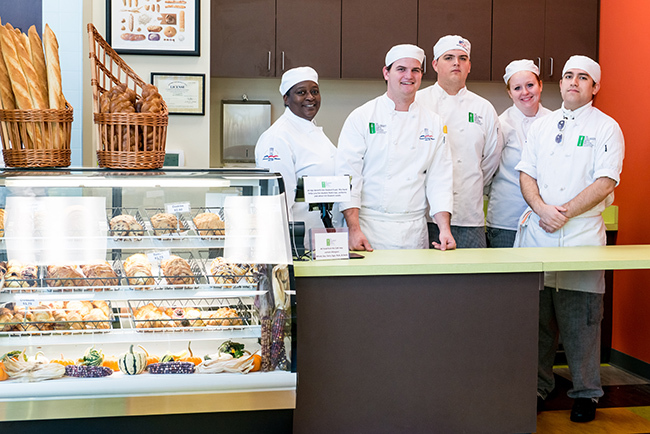 The students operating the café are enrolled in the CAI’s Retail Operations course in which students learn customer service skills, as well as how to produce culinary items and baked goods on a large scale. The CAI’s plans call for the opening of a restaurant bistro in the near future. Like the café, the bistro will feature rotating menu options prepared by the students in their courses, as well as a buffet. The date for the opening of the new bistro will be announced in a few weeks. For more information about the Culinary Arts Institute, visit mc3.edu/culinary, call 267-646-5970, friend us on Facebook at facebook.com/CAIofMC3, or follow us on Twitter at twitter.com/CAIofMC3. College-bound students and their parents are invited to a Regional College Fair at the Greater Norristown Police Athletic League, 340 Harding Blvd., Norristown, on Thursday, Feb. 19. Visit greaternorristownpal.org/events for a list of participating colleges and universities. The public portion of the fair runs from 6-7:30 p.m., during which high students in grades nine through 12 and their parents can talk with representatives from more than 30 colleges and universities about admissions, financial aid, scholarships and academic programs. This portion of the event is free and is open to the community. Earlier in the day, Norristown eighth grade students will visit the fair from 10 a.m.-2 p.m. to learn about the various institutions and programs as they begin to explore college opportunities. This portion is closed to the public. The Regional College Fair is sponsored by Montgomery County Community College, the Pennsylvania Association for College Admission Counseling (PACAC) and the Greater Norristown Police Athletic League. For more information, Visit greaternorristownpal.org/events or call MCCC Assistant Director of Admissions Carolyn White at 215-641-6561. 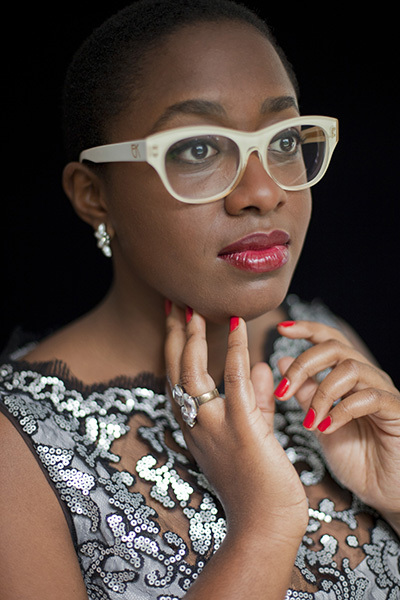 Jazz prodigy Cécile McLorin Salvant will channel the sounds of Billie Holiday, Sarah Vaughan and Ella Fitzgerald at Montgomery County Community College on Saturday, February 21, at 8 p.m. in the Science Center Theater, 340 DeKalb Pike, Blue Bell. Tickets cost $28. Visit mc3.edu/livelyarts or call 215-641-6518 for more information and tickets. At just 24 years old, Salvant has already dazzled audiences around the world with her expressive style and masterful vocal technique, performing with renowned musicians and as a featured soloist with Wynton Marsalis and the Jazz at Lincoln Center Orchestra. A Thelonious Monk Competition winner with a Grammy nomination already under her belt, she rediscovers and theatrically expresses unique interpretations of scarcely recorded jazz and blues compositions. Born to a French mother and Haitian father and raised in Florida, Salvant studied at the University of Miami and at the Darius Milhaud Conservatory in Aix-en-Provence, France, where she started singing with her first band. She quickly gained a strong following in Europe and the United States, composing her own songs and performing at numerous concert halls and music festivals. Critical acclaim has been equally impressive, with New York Times critics raving that Salvant “has it all: perfect pitch and enunciation, a playful sense of humor, a rich and varied tonal palette, a supple sense of swing, exquisite taste in songs and phrasing, and a deep connection to lyrics.” This past year she earned four awards in the 62nd Annual DownBeat International Critics Poll, which chose her Grammy-nominated album, “WomanChild,” as jazz album of the year and named her top and rising- star female vocalist and rising-star jazz artist. Funded through the Mid-Atlantic Tours program of the Mid-Atlantic Arts Foundation with support from the National Endowment for the Arts and the William Penn Foundation, Salvant’s performance is part of the College’s 2014-15 Lively Arts series, “Old School, New School.” Upcoming performances include Latin American folkloric and jazz musician Miguel Zenón on March 21 and legendary harmonica player Grégoire Maret on April 18.